Due to rich industry skill and experience, we have been accomplished to provide our valued customers the best quality range of Digital Anemometer Tester. & heating systems, measure air velocities, wind speeds, temperature.etc. 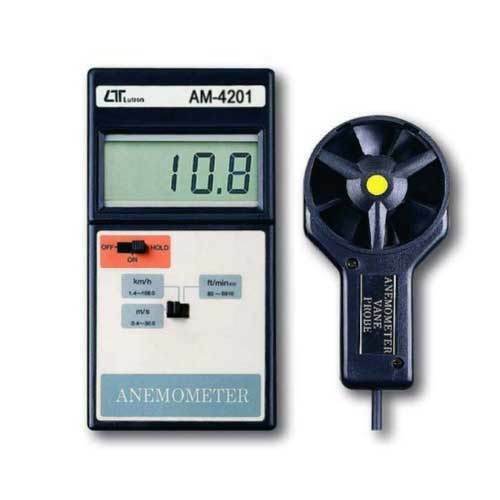 Instruments & Tools Corporation is a notable importer offering an enormous consignment of Digital Anemometer, Conductivity Meter, Clamp Meter and Dissolved Oxygen Meter. Immensely acclaimed in the industry owing to their preciseness, these are presented by us in standard forms to our clients. These presented by us in various provisions, these are inspected sternly to retain their optimum quality.